I’ve had people actually laugh at me when I expect them to respect a deadline I chose myself. Apparently some people think it’s not really important if someone else isn’t making you do it or waiting for your product. 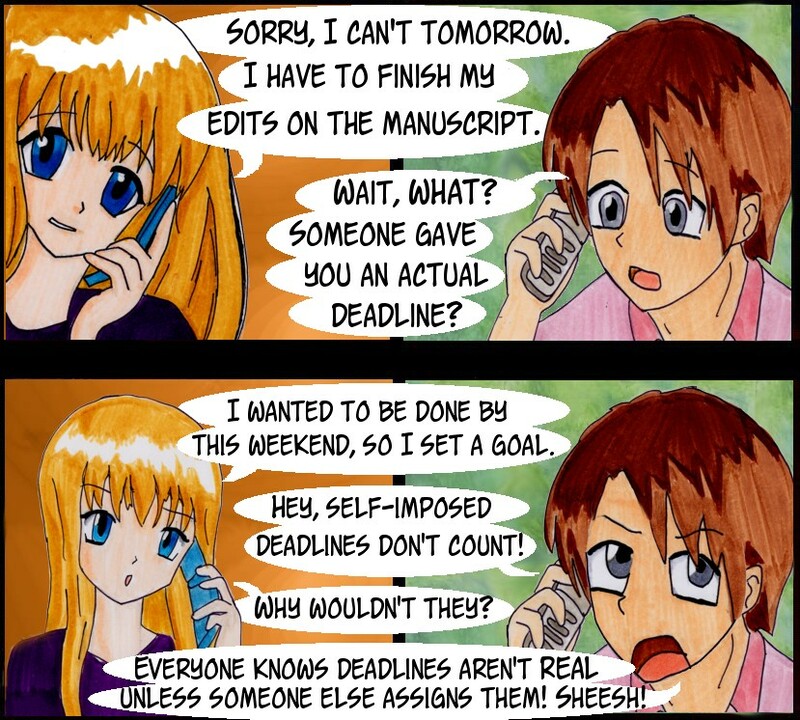 I’m the opposite: I think it’s kind of sad if the only deadlines you respect are the ones imposed upon you by someone else. Sorry man, my writing is serious business, and if I treated it like it was a low priority based on other people’s impositions on my time, I’d never get anything done!